The 36-meter-high Bell Tower is the symbol of Xi'an (Xian tours) and marks the geographical center of the ancient capital. It is a classical wooden building with carved beams, painted rafters and is the largest and best preserved of its kind in China. The engravings on the doors of the Tower reflect the decorative fashion of Ming and Qing dynasties, recounting popular historical stories. In ancient times, the bell sounded in the morning while a drum sounded at dusk. 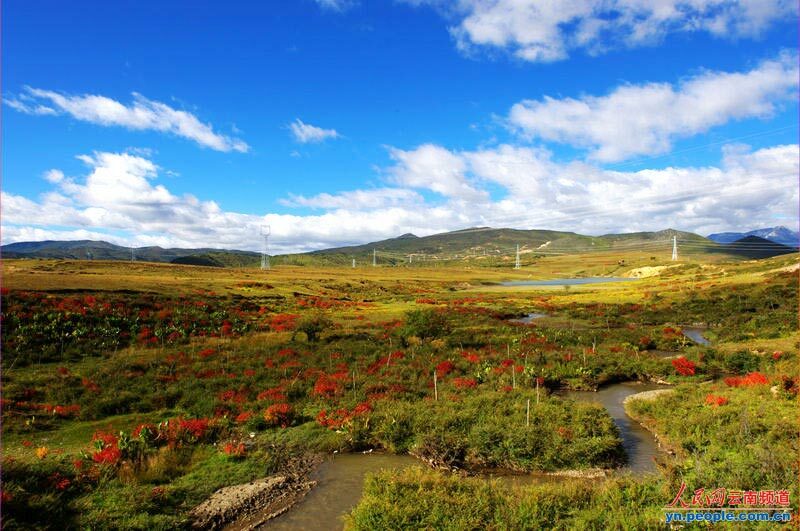 It gets cold in northern China so this 40 C natural hot spring became a favorite spa for emperors wanting to keep away the chill. Emperor Xuanzong in the Tang Dynasty used to spend winters in the company of Yang Guifei (Lady Yang) - his favorite concubine - at this cozy location. Today, visitors can bathe like a king and the pools have also earned a reputation for "healing" certain ailments. 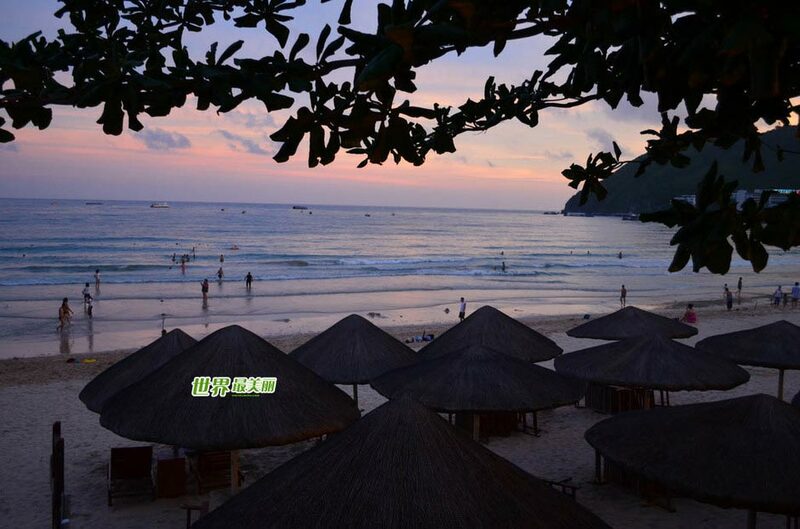 The pool is located at the foot of Lishan Mountain, about 35 kilometers east of Xi'an city. This was China's first museum established at a prehistoric site and shows a typical Neolithic matriarchal community, which lived in the Yellow River Valley about 6,000 year ago. The remains and artifacts are of paramount archaeological importance for the study of the primitive society in China. The museum is built on the outskirts of Xi'an. 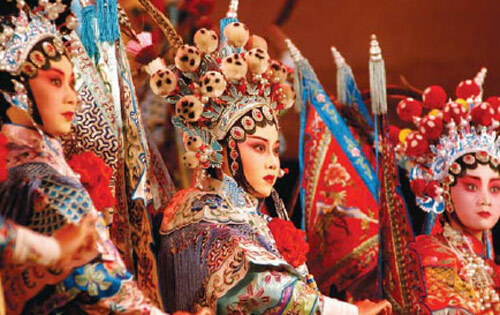 There is more to the ancient capital of Xi'an than just clay soldiers for Xian travel. The Great Wall, the Forbidden City and Beijing's cutting-edge 2008 Olympic venues are China's hottest tourist attractions but many travelers say the ancient city of the Terracotta Warriors is one of the highlights of a Middle Kingdom adventure. Xi'an is the capital of Shaanxi province in northwestern China and sits on the middle reaches of the Yellow River, resting in one of the most important cradles of Chinese civilization. 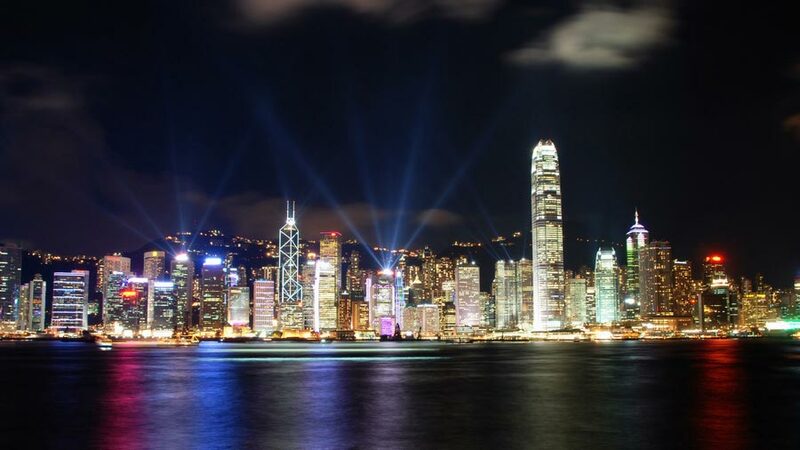 This metropolis of 8 million people is undergoing rapid modernization with a new subway opening this year and boasting one of the largest Internet bars in the world, with 3,000 computers. However, reminders of its colorful and important past make it a city of fascination. Xi'an was once called Chang'an (everlasting peace) and served as the first capital of a unified China in about 200 BC, at the same time the first Emperor Qin Shi Huang's sculptors began crafting thousands of clay soldiers for his monumental tomb. Over a 1,000-year period, the city had been the capital of 13 dynasties and during the glory days of the Tang Dynasty (618-907), it grew to become the world's biggest city with 1 million people attracting travelers from across the globe. In fact, more than 12 percent of the city's residents - 120,000 people - were foreigners. Its strategic location on the old Silk Road (Silk Road tour) connected the city to the West and attracted large numbers of merchants buying, selling and exchanging ideas, in the same way Beijing and Shanghai are attracting foreign business people today. Because of its imperial pedigree, Xi'an is called the "Capital of Delicacies" and mouth-watering cuisine is available everywhere in the city. 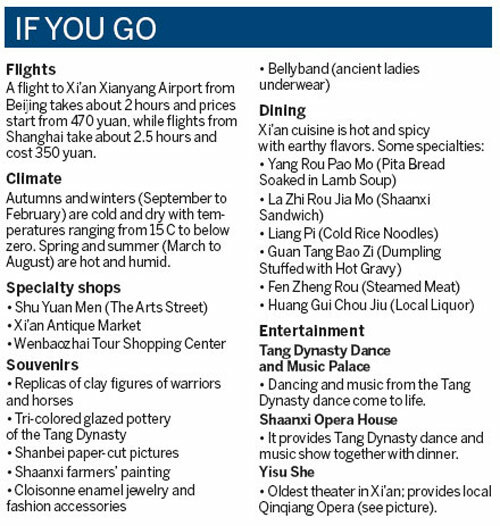 Xi'an is a must-see city on any China travel itinerary and here are five of its top tourist sites. The unearthed Terracotta Warriors and Horses (one of most famous Xian tourist attractions) are one of the most significant archeological discoveries of the 20th century and the 2,200-year-old tomb for China's first emperor is the city's jaw-dropping feature attraction. 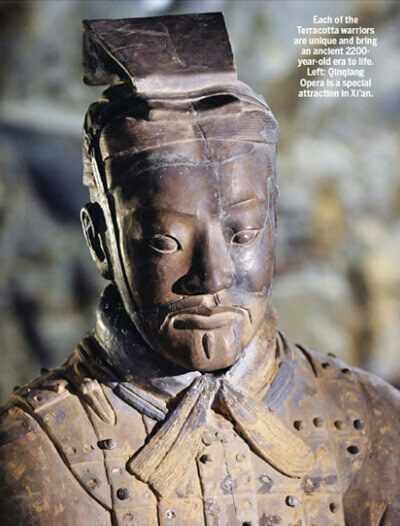 More than 8,000 life-like clay warriors and horses, and 10,000 bronze weapons have been found in the pits and the museum is like a treasure trove of the Qin Dynasty's military affairs, science and technology, art and culture. But experts say they only represent a fraction of what lies beneath. UNESCO listed the burial ground as a World Heritage Site in 1979 and Chinese archeologists continue to search for more of the emperor's soldiers. This masterpiece of ancient Buddhist architecture is located in southern Xi'an and is the oldest and highest wooden structure in China. 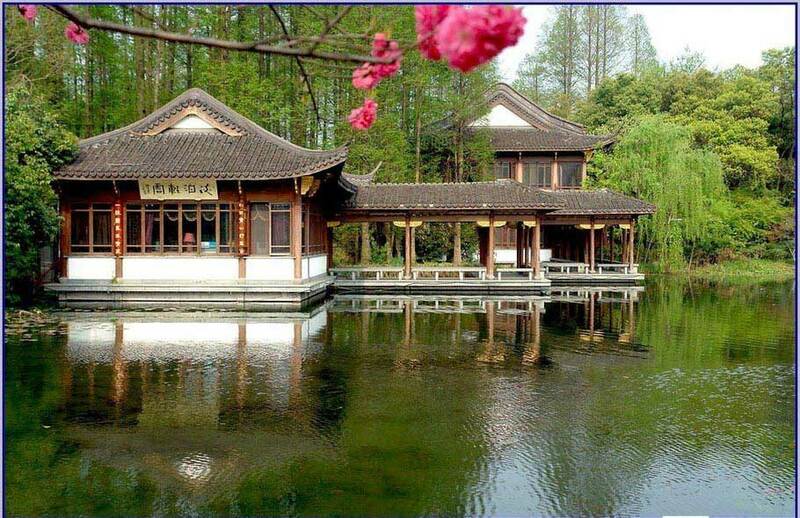 It was built in 652 AD during the Tang Dynasty and is regarded by some as the best pagoda of its kind in the world. The cone-shaped structure was built without the use of nails, but instead with special interlocking layers. This attraction can be divided into three parts: the Big Wild Goose Pagoda (should be contained in affordable China travel packages), the Da Ci'en Temple, and the North Square of Big Wild Goose Pagoda.